Like looking for a needle in a haystack of crowded classified posts, facebook groups and google-promoted websites, where do you even start? Firstly from an owners perspective the following usually applies when finding an ethical cat breeder. 1. Potential owner googles for breeders in their city/country. 2. He/she then clicks on the first few sites that come up on the first page of Google – of course, who would think to do anything else? 3. 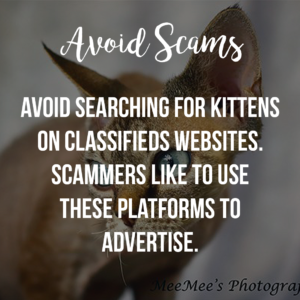 Those website are either official websites of cat fancy organisations, or in most cases, sadly they are scammer sites, and classifieds ads promoted by scammers, and backyard breeders. What most breeders don’t realise is they need to be visible where their ideal owners are going to be searching for kittens. 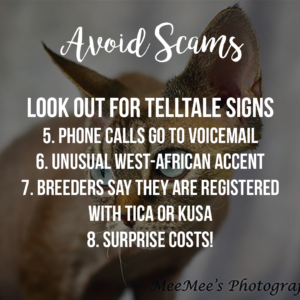 So although most breeders avoid classifieds websites like Gumtree, Locanto, Freeclassifieds, etc., this is where the backyard breeders and scammers catch potential owners before they even have an opportunity to find the ethical breeders online. 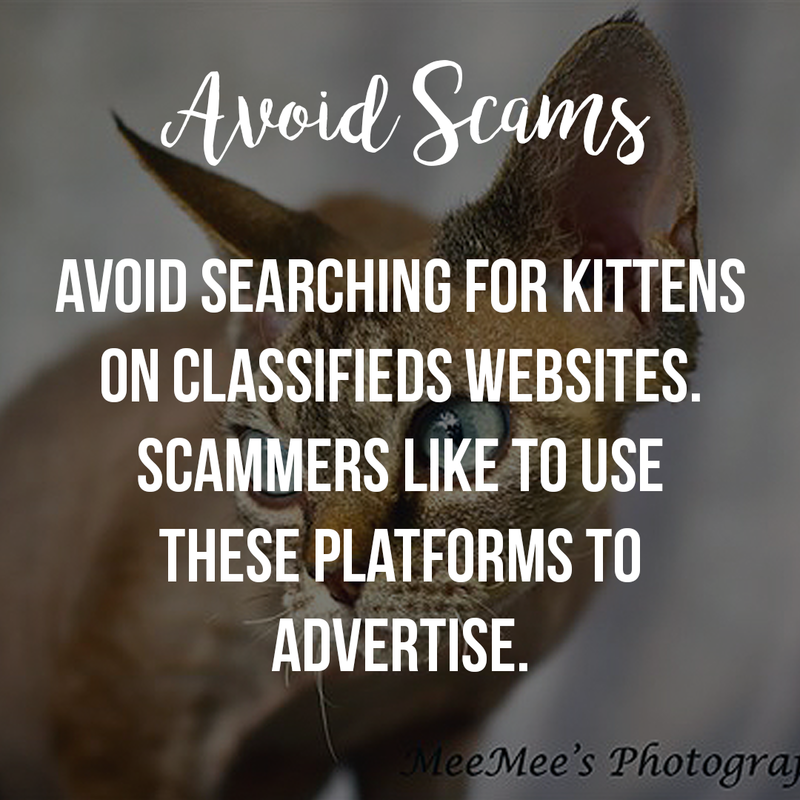 If you are going to contact breeders who advertise on these platforms please be vigilant of scams and impersonations as well as backyard breeders (with too good to be true prices who let their kittens go unsterilised, unvaccinated and unregsitered as early as 6 – 8 weeks old). The right way to find an ethical cat breeder is simple to the breeder, but not always obvious to the potential owner. First look at your budget. Registered breeds may cost anywhere from R4000 to R20 000 depending on the breed’s rarity or popularity. 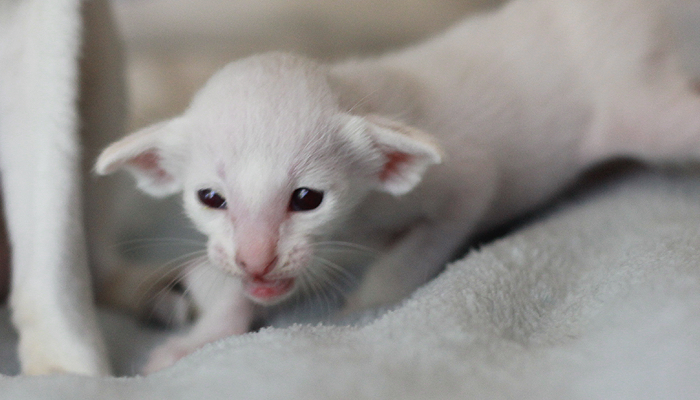 Expect to pay a deposit of up to 50% to secure your kitten once it reaches an appropriate age for a firm booking. 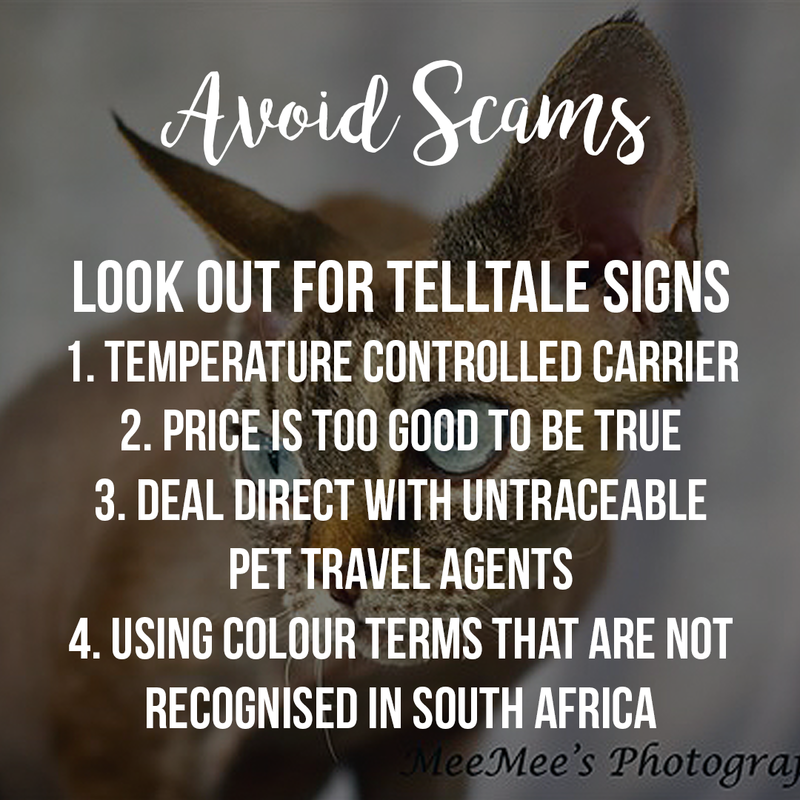 Expect to have to pay around R60 – R200 per month on pet medical insurance, as well as keeping factors like premium recommended diets, grooming products and other expenses you will incur during the cat’s lifetime (6 – 15 years). Now that you have been in contact with one of the organisations mentioned above, they should direct you to their webpages’ breeder directories or even send you a list of breeders in your province to make things easier. Now all you have to do is contact those breeders. This way you know the breeders you are referred to are registered and in good standing with the relevant organisations. Now what? You have a list of breeders to contact but how to weed through them to find one that is a good fit. Firstly email the breeder – it is better to send an email rather than a message on Facebook or a quick WhatsApp. Breeders often get queries late at night so its best to allow them the time to sit down and answer you properly via email and then follow up with a phone call. Your name, where you reside, how you came across them and why you are contacting them. Include some information about your household and lifestyle and say why you would like the specific breed you are looking for. This will immediately give the breeder an idea of if their kittens will have the right temperaments to fit in with your family and your lifestyle and she will be far more responsive to further communication. Breeders are very particular about who they sell their kittens to. It is not just a business to us. It is an extended family. A lot of time, money, effort, research and love has gone into rearing your perfect little baby. Letting them go is not easy, especially if the gut feels shout NOPE. Don’t WhatsApp or text short messages like “do you have kits available?” or “hi how much are your kittens?” or “looking for a kitten” – As a good start, at least use vowels. Messages like these put the breeder off immediately and you are unlikely to get a response at all. If you are going to text, introduce yourself appropriately. Don’t send your PA to do the work for you. Breeders do not sell via 3rd parties and those that do, are certainly not ethical. Take the time to contact the breeder yourself. Often breeders are also very busy people who run businesses and have full time jobs outside of the cat world. We hope that you would respect our time and efforts by taking a few minutes to contact us directly rather than sending your secretary to do it for you. We want to get to know you! Don’t expect a kitten to be ready immediately. This process often takes time. Get in touch with various breeders and decide from your conversations with them who will be a good fit. It is likely the breeder will be “in your life” one way or another for a good few years so find someone who not only ticks the boxes for having beautiful, healthy kittens, but one who you can see yourself getting along with long term. Most breeders feel their owners are part of their extended family even if you don’t keep in touch regularly. Breeders may not have kittens available immediately, or even for the next few months. You may need to wait for the RIGHT baby for your family. And it is important to do so as if the cat is a wrong fit, you will have problems bonding down the line. Breeders often have waiting lists or babies booked way in advance from litters that are only a few weeks old. Expect to wait a few weeks or even months for your perfect kitten. No breeder is going to sell you a kitten off the bat in 24 hours. 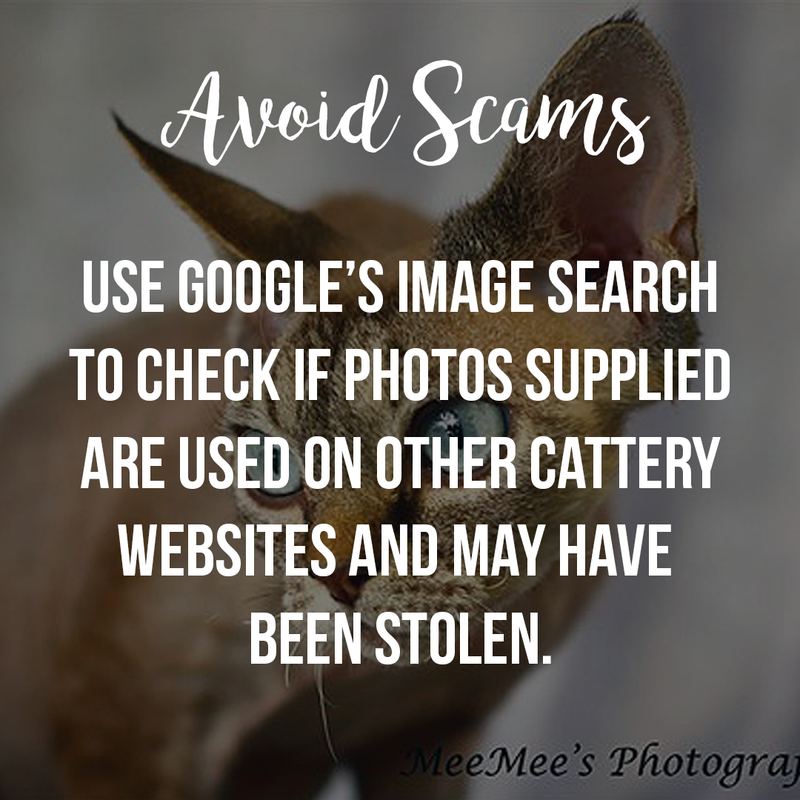 There are protocols to follow like arranging microchips, adoption agreements, getting your starter kits ready, purchasing a carrier, drawing up your kitten manual or diet plan and booking necessary flights/arranging collection or transport. This does not happen overnight so don’t expect breeders to have kittens ready for your 12 year old daughter’s birthday this weekend. PRO TIP: OFFERING TO PAY MORE FOR A KITTEN THAN THE ASKING ADOPTION FEE TO BE BUMPED UP ON THE WAITING LIST IS FROWNED UPON… IT’S NOT ABOUT THE MONEY! 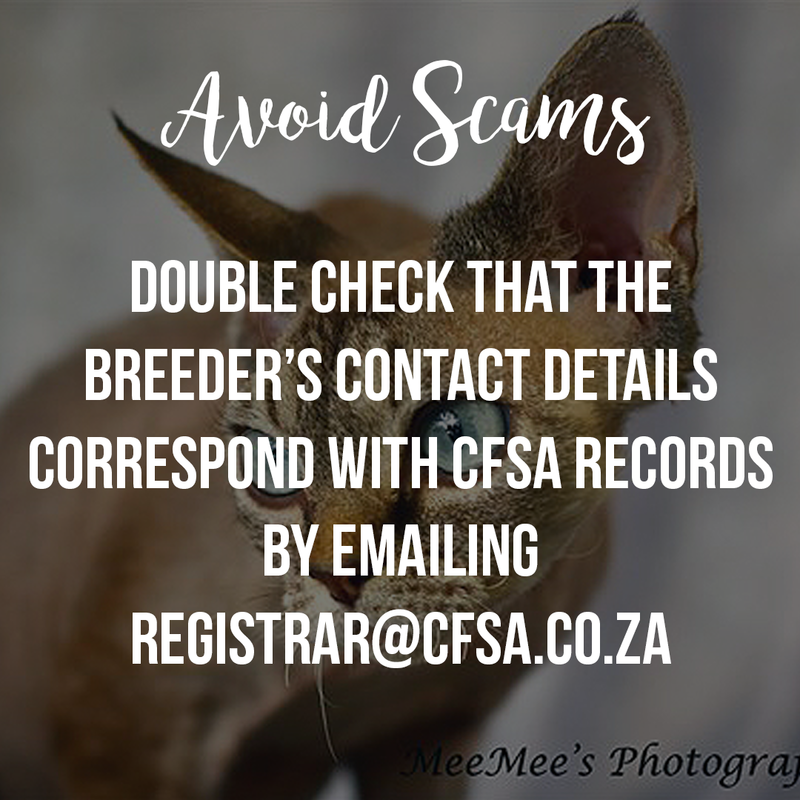 If you are not a registered breeder, don’t ask for a breeding cat unless you are willing to do the research, register a cattery and invest in the breed long term and accept the breeder’s decision if they are uncomfortable selling you one. 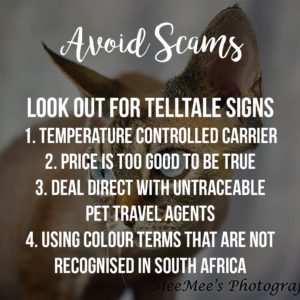 Some breeders have been burned in the past and are not quick to trust everyone who asks them for a cat with breeding rights if they don’t know you. If you think you are going to make money from breeding cats, think again carefully. Breeders rarely make any profit that is used as disposable income. Every cent goes back into their breeding programmes and expenses. It is rather rude to just ask for a breeding cat off the bat when you have not yet developed a relationship with the breeder. 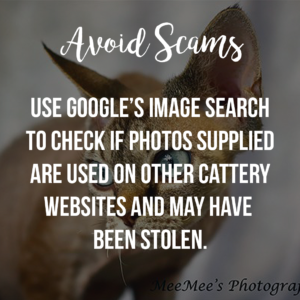 Sure there are breeders that will sell to anyone and everyone… those breeders are not concerned with the welfare of their breeding lines and their kittens and will rarely have the knowledge and experience necessary to mentor you post adoption. Take it slow if you are really interested in starting to breed and build up that relationship through getting more involved with the cat fancy and getting to know people, via showing and helping out at shows to learn more about what the cat world is like before you commit to it. It can be a shady world to navigate for a novice. Don’t hang around on several breeder’s waiting lists and be open with the breeders about who you have contacted, and your intentions. We like to think if you feel it’s a good fit, that you will wait for one of our kittens or let us know if you found a kitten elsewhere, and/or if we don’t have any available, we can refer you on to breeders we can recommend and trust. I know this appears arrogant but most of the breeders in South Africa know or know of each other and a lot of us talk regularly and/or work together, so it is important to be communicative. If a breeder is expecting you to make a firm booking for a kitten and has reserved that kitten for you until it’s old enough for a deposit to be paid (thus turning other potential owners away) and you haven’t been in contact to let that breeder know you found a kitten elsewhere, it comes across as window shopping. Don’t expect to be welcomed for a viewing at the breeder’s home to choose your kitten. Breeders are not pet shops and although there is a lot of trust involved between both parties, breeders in South Africa are apprehensive having strangers in their homes for safety reasons and also weary of anyone bringing unknown germs into the cattery with small kittens and pregnant mommas about. 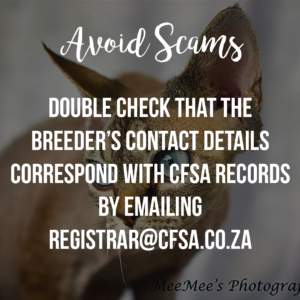 It is most important to trust your breeder here and if you haven’t received an update, please ask for one and if you are unsure or feel uneasy about the situation then ask for the contact numbers of some of the breeder’s existing owners you can chat to. Usually once kittens have had their first round of inoculations, it is safe to arrange a brief visit (not with the entire family please) by appointment with the breeder. Alternatively you can visit them at local shows to meet older cats and kittens that they have on show. 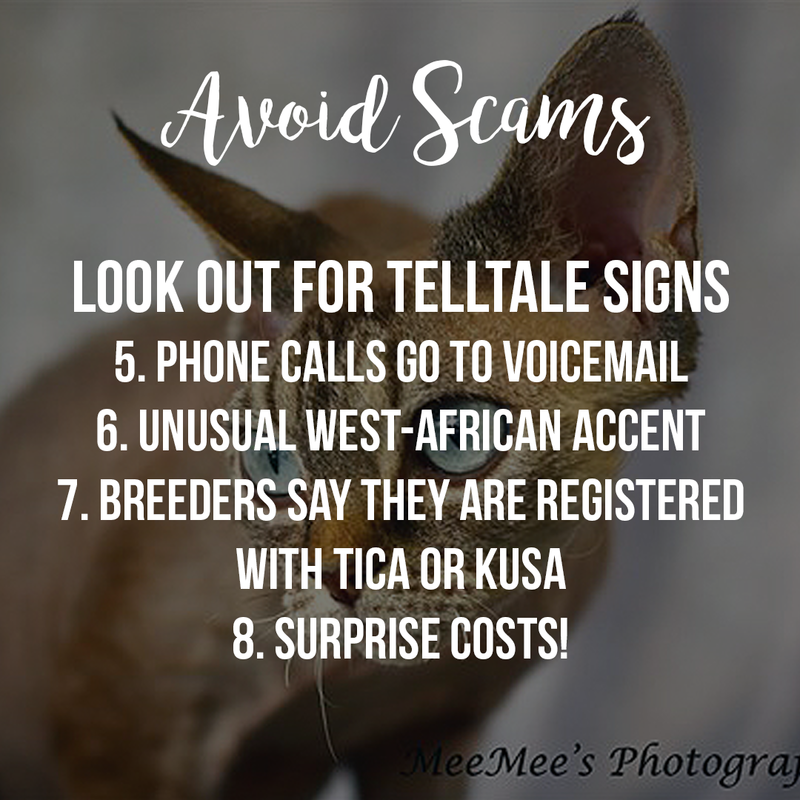 So, now that you have some important tips on the “etiquette” of finding your dream kitten from an ethical breeder, go forth and do so! It is an exciting time waiting for your baby and getting updates of pictures and videos – so if we can give you any advice at all, it is to wait for your kitten to be old enough to leave (around 14 – 16 weeks) and make sure your breeder inoculates, microchips and sterilises your kitten before it leaves them. Trust your breeder has the kitten’s best interest at heart especially if there are delays (kittens get sick like all of us) and build a relationship with them. If you have any concerns post-adoption you are going to have a much easier time with them if you have your kitten’s breeder’s input, experience and advice to help guide you and even help guide your vet by providing medical history of siblings and parents.